A versatile, harmonious and precise portfolio HTML5 website. Urku Portfolio has an innovative design style and flexible layout to create an outstanding portfolio website. - Added new Plugin peHoverImage that shows an alternate image when hovering portfolio items. - Extended responsive type sizes. - SVG and Flexbox fixes for IE11. - Updated Aurora Grid version to 1.0.5. -Added missing helper CSS file. The whole theme has been crafted with responsive behavior. We have taken great care to make it the easiest to use and the best to look at in every resolution. Design elements also use SVG graphics and animations. We have included 4 type of portfolio layouts with a special emphasis on our Flex layout that lets you control aspect ratio and size to create intricate and precise portfolio layouts. 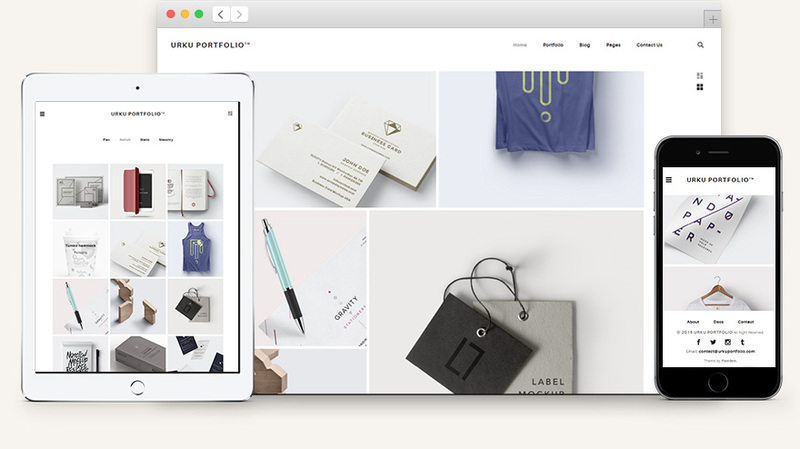 We have developed this portfolio template on top of our new grid system called Aurora which powers this theme layouts. IMPORTANT: Comment section below is not for bug or issue reports. The best way to contact us can be found in the download file in the document called “Bug-issue-reports-feature-requests-PIXEDEN”.